Blanca Baez has 11 years of experience in Pharma executive management positions, including 7+ years with Novartis in commercial roles across global, regional and local settings across the different stages of Pharma’s value chain and with a broad mix of therapeutic areas in specialty and primary healthcare and 3+ years with Mundipharma as Head of New Products Portfolio and Commercial Lead for Business Development. 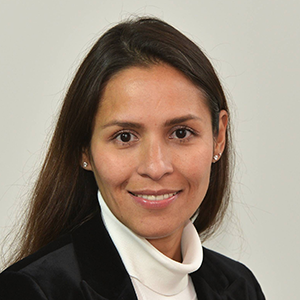 Blanca is now the Global Head of Business Development for Molecular Health, an Artificial-Intelligence-powered computational biomedicine company. She has crafted the strategy for this company to enter the Biopharma and Biotech market and is executing it now with ambitious growth goals. She earned her MBA from London Business School, specialization in Entrepreneurship, Strategy and Analytical Marketing and B.A. in International Trade from a top Latin-American University in Mexico City and from the University of Massachusetts. Molecular Health’s (MH) Artificial-Intelligence-powered computational biomedicine Dataome® uniquely merges and analyses clinical and molecular. MH combines human and machine intelligence to capture, curate, integrate and analyse any source of data to illuminate novel insights for various stakeholders in healthcare including biopharma.